Forex trading has become as common as stock trading these days. There was a time when forex trading was limited to a select few since the currencies were regulated and the general public was not allowed to trade freely. In the 1990’s the foreign currency markets were opened up to the general public and the manner in which the currency rates moved became similar to the stock rates. While there are other factors that dictate the rates, the demand and supply modulated by consumer sentiment became a major factor in the manner in which the currencies moved. As a large number of general people started moving into forex trading, there was an emergence of forex brokers and service providers. Companies that offered forex trading information, forex trading platforms and forex trading courses started to make an appearance. For anyone who was starting into the area of forex trading, it was imperative to understand that with a high level of demand also came the possibility of fraud and scams too. It is surprising that some people may even ask why it is important to be careful when it comes to choosing a forex broker. We are all aware of the major scams that take place in the corporate world. 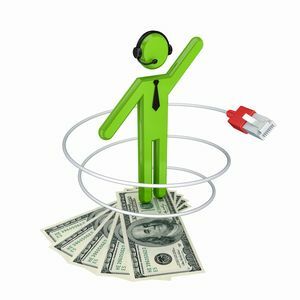 A swanky website, a forex trading platform and some customer support staff does not indicate that the company you are choosing as a forex broker will not stop to levels of forex scams. There are more stories than one would care to read about with regards to the devious ways in which these scams are perpetrated. When you choose a company to provide you with the right kind of guidance, the proper trading platform and the immediate access to information, you need to be careful. You may feel that the initial registration fee is little and not be careful. But you also need to think about the hundreds of dollars that you will put in the account and the profits that you will receive. Will it be easy for you to withdraw these amounts or will the forex brokers resort to some tactics? With the preponderance of online forex brokers, choosing a good one may take some time. While it is not tough, you do need to ensure certain things before you can be sure of their expertise and reliability. Make a shortlist of forex brokers based on a quick research on the Internet. You can also ask some friends, colleagues and acquaintances about the forex brokers that they have worked with. Research the websites for forex brokers reviews and look for the number of years that they have been around. Also see what they claim with regards to association with regulatory bodies and licenses. Make independent researches with regards to the license and regulatory claims that the companies have. The forex markets are regulated and supervised by the CFTC and NFA in the United States and the FSA in the United Kingdom. The shortlist that you obtain after the above steps needs to be considered as the core list. Compare and contrast the features and services along with the fee charged by these forex brokers and make a decision based on what suits you the most. Neteller is an extremely popular and secure E-Wallet that allows you to fund your Capital One Forex live account. You have the option to fund using multiple currencies using many different funding methods including all major credit cards.